(Google Translation) (AP) Police come out with great force to gain control of a demonstration against the Ethiopian authorities outside the Radisson Blu Scandinavia Hotel, Oslo. 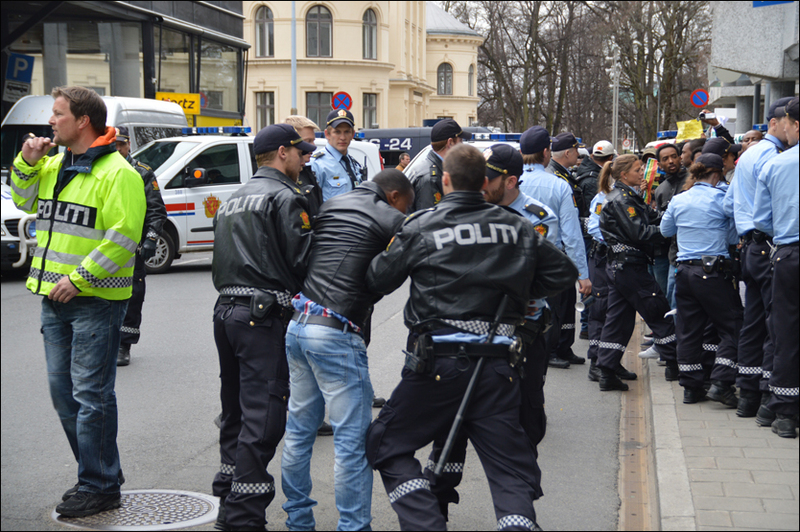 Sunday afternoon promoted major police forces out to stop a group of Ethiopians to take into Radisson Blu Scandinavia Hotel, Oslo. Police said the demonstration was illegal and eleven people were arrested for public nuisance. 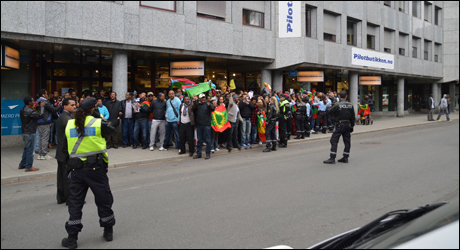 – It was originally announced a lawful demonstration outside Galleri Oslo, where the Ethiopian ambassador in Stockholm to participate in a meeting. When the meeting was canceled, was the demonstration outside the hotel, says operations manager Sven-Martin I told VG. The protesters had first told to pull themselves away from the hotel across the street. – They stood pressed against the doors of the hotel and we gave them permission to retire, I say. The police came out with twelve police cars and dogs to keep track of the demonstrators. Around 16 o’clock eleven people were arrested and demo station dissolved.